MOSCOW -- Prosecutors in Kazakhstan say Olympic figure skating medalist Denis Ten has been killed, and they are treating the case as murder. Kazakh news agencies report Ten was stabbed after a dispute with people who tried to steal a mirror from his car. Doctors in the city of Almaty say he died in hospital there. He was aged 25. Born in Kazakhstan to a family of Korean descent, Ten won bronze at the Winter Olympics in Sochi in 2014, becoming Kazakhstan's first medalist in figure skating. 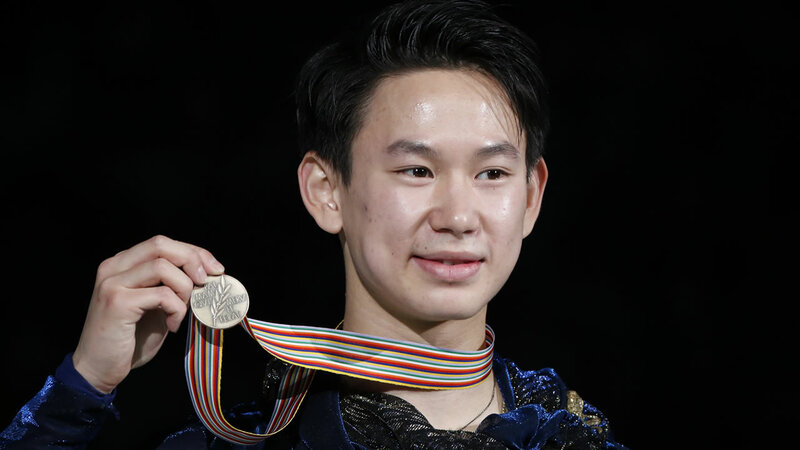 He also won the Four Continents championships the following year, and was a world championship silver medalist in 2013. A dreamer and a doer. Devastated to hear about the loss of Denis Ten. Kind, talented, motivated, thoughtful, creative, funny, wise, a visionary... He changed so many peoples’ lives including mine. Sending my love and thoughts to his family. Condolences to the family & friends of Denis Ten. The skating world mourns its loss of a great talent. One of my oldest friends from skating world is gone. I still can’t believe that and I hope it’s not real. A life taken from a smart, kind and polite person is just not fair.